Thursday was a superb day, dry and sunny with no wind: the perfect autumn day for cycling. 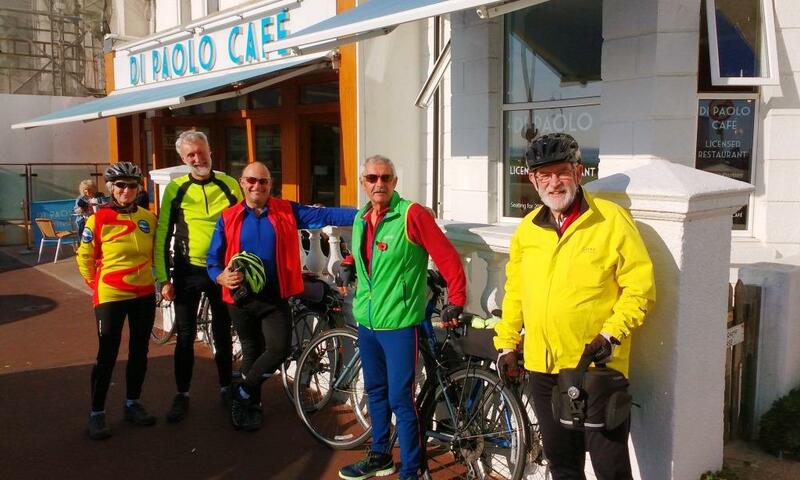 Our destination was Bexhill, one of our favourite destinations for a ride. It’s a virtually flat route apart from Chapel Hill just after the start; in fact roads don’t get much flatter than Rickney Lane which we cycled along to cross the Pevensey Levels! This made for easy cycling, especially as there wasn’t a headwind so we cruised along at a rate of knots more familiar to the Intermediates and Sportives! it didn’t seem long before we reached Bexhill and was cycling along the promenade towards our café stop at the Colonnade, underneath the De La Warr Pavilion. We were surprised to find the Colonnade fenced off. (It appears that ‘Tea Beside The Sea’ café has permanently closed; the lease expired). However, there’s no shortage of cafes in Bexhill so we soon found one the other side of the De La Warr Pavilion called ‘Di Paolo Café’. What a super place: friendly staff, good food and drink and quite large inside so plenty of tables and chairs. It’s since been added to our Refreshment List. 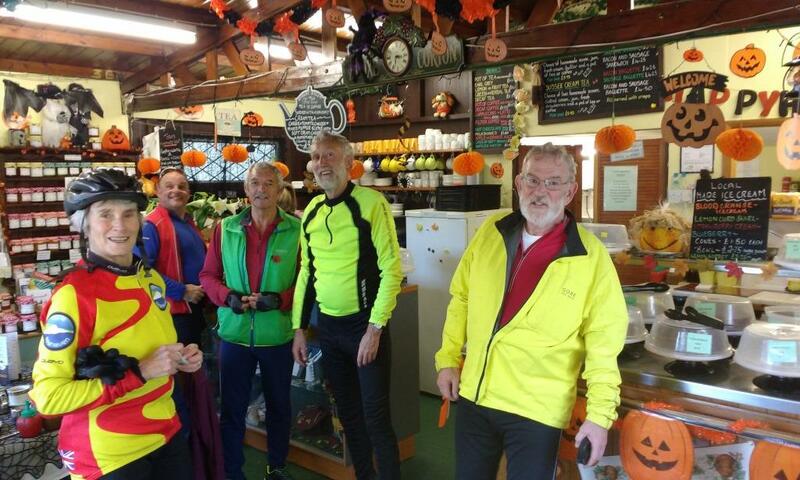 This list now has over 40 cyclist friendly refreshment stops that the tourers are happy to use. Most are in Sussex but a few are in Kent and the Seine-Maritime department, just across the English Channel in France. This list may be of use to anyone who is planning a ride and looking for somewhere to stop for a rest and some nourishment. 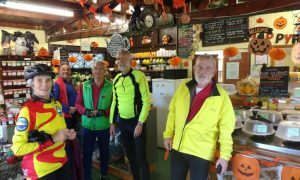 The first place on the Refreshment List is the Arlington Tea Garden which we’ve been stopping at for many years, often on a Thursday when returning to Exceat on our longer distance rides. It’s only about six miles back to the finish at the car park in Friston Forest. Thursday was no exception. We’d made good time and the sun was shining so we called in for a cuppa. We were impressed by the Halloween decorations. All in all this had been a perfect autumn cycle ride: excellent weather for the time of year, great company and two super refreshment stops. 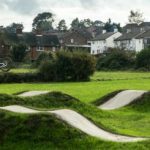 Pump Track at the Salts – latest update from Jon Younghusband. 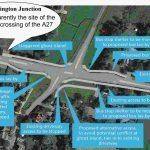 A27 up-grade – some positive news.